You've got questions! PreCentral.net has answer! Below, we go question by question from our gigantic Pre Forum Questions thread from the TreoCentral Pre Forum. This is Part 1 of 3. Don't miss Part 2 of our Palm Pre Answers and Part 3 as well! How are the keys next to the edge to hit? It looks as if the keys near the outside rim might be difficult for me and my big thumbs. How's the balance when the kb is slid out? the curved/scooped edge at bottom of keyboard - awkward at all? They're not too bad at all, actually. The rim on the bottom is definitely more pronounced than it is on the sides, so it can be deceptive. The keys are also more widely spaced, taller, and perhaps slightly bigger than they are on the Treo Pro. They're also a touch tackier, which makes them easier to hit. On the other hand, on this style of keyboard I tend to use the tips of my thumbs more than the 'flats' of them, so perhaps the rim around the keyboard bothers me less than it might somebody else. As for balance, I certainly didn't have any complaints, it didn't feel too top-heavy. Most of the guts -- and most importantly the battery -- are on the back part of the device, which helps. Any word on the internal storage options? Listed is that the device has 8GB internal, but I read nowhere support for microSD cards. Do you think that's a smart move? What about a MicroSD card slot? 8gb is probably enough storage for me but I like being able to back up and restore when away from a computer. Do I think it's a smart move? Not especially, but even with this sort of hero-device, you have to make compromises. The good news is that it just plain looks like a USB disk when you plug it in, so getting your files on that storage shouldn't be too difficult. Backup and restore is a much more difficult issue. The 8GB is likely to not get wiped after a hard reset, but it is a curious question. I'm doubtful (but I don't know) that Palm will have a backup solution at launch -- besides the obvious cloud syncing of course. Hopefully it won't take too long for a robust desktop / sync client to come out. Palm Pre - For how much $$$ ? That's the question, ain't it? Speculation runs anywhere from $150 to $499 right now. My own personal hunch is that, honestly, they haven't decided yet. I spoke with a Sprint rep who said that the pricing decision on the Samsung Instinct wasn't made until literally 2 weeks before launch. They're definitely feeling the pressure from Apple's $199 price point. My own personal hunch is we'll see it at either $199 or $249 after contract at launch. 1st half of 2009, but you probably knew that. Again, just a hunch, but I'm going to guess early May. How about the top row? Looks to be printed on ("Palm", time and the signal strength and battery etc. indicators)... maybe the pictures are not showing these right..
Nope, not printed on, just incredible design -- the screen is flush and they designed the UI so that those information bits would seem like they're melded into the hardware. The screen has very good dots-per-inch, so they really do look nice up there. As a software engineer and a potential developer, I am skeptical about webOS. I have a lot of questions with respect to how some of the low level software will be developed. How can I develop a networking app that needs to send out TCP/IP/UDP packets that isn't a web page? How could I create an app similar to the DUN interface in my current Treo? Is there going to be database support? I have many more and their http://developer.palm.com link isn't making me too excited to jump into developing applications that I thought were going to be based off a linux OS. Lots and lots of questions around this issue, eh? Best I can indicate is what I gathered from my meeting. Palm seems interested in offering a deeper level of access to developers than simple 'web pages' lets on, but it's not clear exactly how they're going to do it -- or when. Database support shouldn't be a problem -- you're getting local storage and I strongly suspect some sort of SQL-type solution. I'll second that question. We need to know if we'll have access to the underlying linux structure to run more robust apps or if we're stuck with the same problem that Android has in keeping developers from directly accessing the hardware. I read that the processer in this thing has both 2D and 3D graphics support - if we could get OpenGL ES running on it this device would have huge potential as a mobile gaming device as well - but AJAX and HTML aren't gonna cut it for that. ...And I'll second my answer. :p I will say that video playback wasn't any great shakes -- but it never is on a pre-release device, so don't freak out about that. Animated transitions were simply great, so I'm sure there's support for at least 2D graphics sorts of things. My hunch is initial support for everything will be pretty basic (it appears that everything gets done through specialized URL-type calls), with deeper access coming in relatively short order. I've seen comments about the storage being 8GB but not what the RAM is. This can be critical when running multiple apps. Is it expandable (not likely) or will they come out with phones having different amounts of RAM? Palm's not talking RAM, not one whit. My opinion on that is that I'm not worried about that (yet). 256mb of RAM, for example, is so-so on a Windows Mobile device but would be pretty fun on PalmOS, no? So if Palm had given out the RAM, all it would have done was cloud the issue of performance -- we really have no idea yet how RAM-hungry the webOS platform is yet, so the numbers aren't helpful yet. None necessary -- it's a capacitive touchscreen and you use your fingers to access it. IMO this is a vastly better solution despite the fact that all the buttons and widgets need to be bigger. It does appear that the old-school Palm Menu lives on (in a revised fashion) for accessing stuff that won't fit on the screen. "7 Coverage not available in all areas at all times. Requires data services at additional cost." Is gps functionality limited to Sprint coverage areas? Will the GPS on the GSM international version have the same limited GPS abilities that the Sprint/CDMA version seems to have? That of being tied into the service providers coverage area and network. Bottom line, will the GSM version have standalone GPS abilities? Are you trying to get me in trouble with the 800w crowd, westy? :p I honestly don't know, but the above reads like standard-issue telenav boilerplate to me -- i.e. the bit about data coverage is likely about how Telenav requires data to work. On Sprint, however, it doesn't require an additional fee with the Simply Everything plan, which I strongly suspect will be required for the Palm Pre. As for the GPS being truly stand-alone, we just don't know enough yet -- nobody's ever used this chipset on a smartphone before, so there's little to compare it to. If I had to guess, I'd say that it's going to be standalone based on the fact that they're going with a TI chipset that appears to be pretty darn advanced. Thinking about it - is the switch going to be actually harder for existing palm customers than the rest of us? Is there a solution for backing up and restoring the phone on the go? Down to app settings, call history, and text/messaging history? What's the solution for that sort of situation? Since, apparently there is no external memory slot, also since there seems to be no pc/mac syncing, where and how does one keep a local backup. Also how does one then sync with Outlook on a local computer. does anyone know if the palm desktop data (contacts etc) will be cleanly importable ?? OK - so if you don't use outlook or gcal, what are your options for tasks and calendar syncing? Now I use Now Up to Date/Contact (soon to be Nighthawk) on a Centro with my Mac. There have been noises about Palm helping StyleTap get an emulator going for Apps. As for the other two, well, in my personal opion desktop sync and the stylus belong in the dustbin. :) That said, I think Palm will at least offer a walkthrough solution for you to get your data off of Palm Desktop onto a cloud service that's compatible with the Palm Pre. Outlook sync will be done through an Exchange server -- hopefully a solution will be made available that isn't too complicated by the time the Pre comes out. Obviously there are a lot of questions about sync and the short answer I have is this: I expect that everything is going to be done through the cloud and syncing directly to your desktop will be diffiult at best. I strongly recommend anybody who's not currently getting their PIM information out into the cloud right now starting looking into ways to do that. I like Google's stuff myself, but there are also free or cheap Exchange solutions out there. It will make the move to Pre easier and, frankly, it's a good idea to have your data backed up offsite anyway. My biggest question will be battery life. A few thoughts on this. 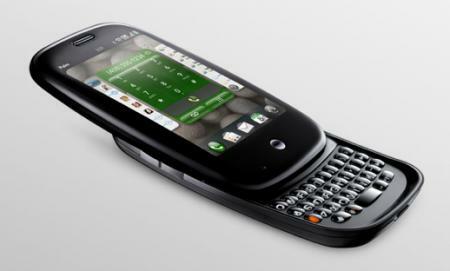 Number one: The Palm Pre uses the Centro 1150mAh battery, which is frighteningly small. Number two: don't read too much into that. Just as with my comments on RAM above, we have no idea just how power-efficient the Palm Pre will be. I'm still looking for a pic next to a Treo Pro. Is there a menu key? I can't find one. What about a memory card slot? The diagram shows something like that behind the battery. How will copy and paste work? If you try to highlight something, how will it know you want to highlight from moving the page up and down? There is not. However - the menu area on the upper-left of the screen is much larger than what it is on the PalmOS -- at least in terms of "touchable zone." So reaching up there is a hassle, but at least the zone is bigger. Also, from what I can tell, you might not have to reach up there as often. Copy and paste works from the aformentioned menu -- how exactly selecting texts works, I'm not entirely sure. Does the webOS supprt displaying foreign/Asian language natively like the iPhone? I am not asking for Chinese input here although that would be nice. Does the mp3 player support Asian ID3 tag as well? Nope, no idea, sorry. :( Would take somebody with more Linux and more Web-language experience to even speculate. What's the origin or story behind the "Pre" name ??? I'm not satisfied with Palm's answer to this one: "Thinking ahead is a beautiful thing." Now, technically, "Pre" means "before" when you prefix it to a word, but you could make the arugment that it inherently has a sort of assumption that something (i.e. your data) is coming after it. Or something -- My desire to get into an etymological and lexical analysis on this issue is probably interesting to very few. Will backwards compatibility be first party or will it have to be a third party app? Right now, neither. The door is open to third party apps, but only a crack and nobody's sure if it's going to work. Palm Pre - What about sync with Apple's iCal & Address Book. No mention about these programs? Nope -- but both will sync to Google now. ...Is there a video player? Yes. It's not stellar yet, but I expect it'll be pretty good. Palm's mum on this one as well, probably for similar reasons to the RAM, battery life issues. First, awesome job, Dieter. Excellent coverage today. Thanks. You bet, there are a couple towards the bottom of this post on PreCentral.net . Do you have any images of the Pre with the screen turned off? I don't recall seeing any, and I'm wondering if the lcd screen disappears completely. Could you clarify what's meant by the USB storage option? Does that mean the Pre acts as a storage device for a PC, or that you can plug in a USB storage device into the Pre? The former. There's no sync software whatsoever. When you plug it in, the storage appears just like a usb drive. Any sign that Jeff Hawkins had anything to do with the Pre? Or was it all driven by the new talent? I don't want to speak badly of Hawkins, who appears to have been kicked to the proverbial curve after the Foleo debacle, but it doesn't look like he was involved much at all. I would be happy to be proven wrong. Any indication on the ongoing plans for Garnet-based Centros and Treos? Will there be no more new devices launched on the old OS? My guess is no, no, and no. Treos will likely become a Windows Mobile brand. Centro will likely get webOS. What aspects of the hardware and software seemed not ready for launch? The video player for sure wasn't ready yet, and there were little bits throughout. All in all, though, I don't have a difficult time believing they'll hit their deadline. The sentiment around TC is overwhelmingly positive about the Pre. Is the reaction at CES pretty much the same? Any sense of the level of developer activity on WebOS so far? For example, are the traditional Palm partners hanging around showing their support, or even talking about the apps they're going to develop? Any idea how quickly they'll get the SDK released? Can we look forward to a webOS-based TreoCentral (PreCentral?) client? That, sir, is an excellent idea. Another question: Can you edit the 4 favorite apps that come out in that wave format? How about Forever Call log like POS? I wonder if the Pre can run Skype??? Since this is web centric device, can this phone make VOIP calls? So do I. Chances are -- not anytime soon. Do you have to slide the device open to answer\talk on the phone? Can you add other web sites to the list when using the universal search? Great question -- probably not at launch, no. Will there be visual voice mail? Another excellent question -- sadly I have no idea. What if any support does it have for Microsoft Office Documents? Will there be native support like in previous Palms or will we have to wait to open a Word or Excel doc with a 3rd party solution? I expect we'll have DataViz's excellent DocsToGo suite either at launch or in short order.